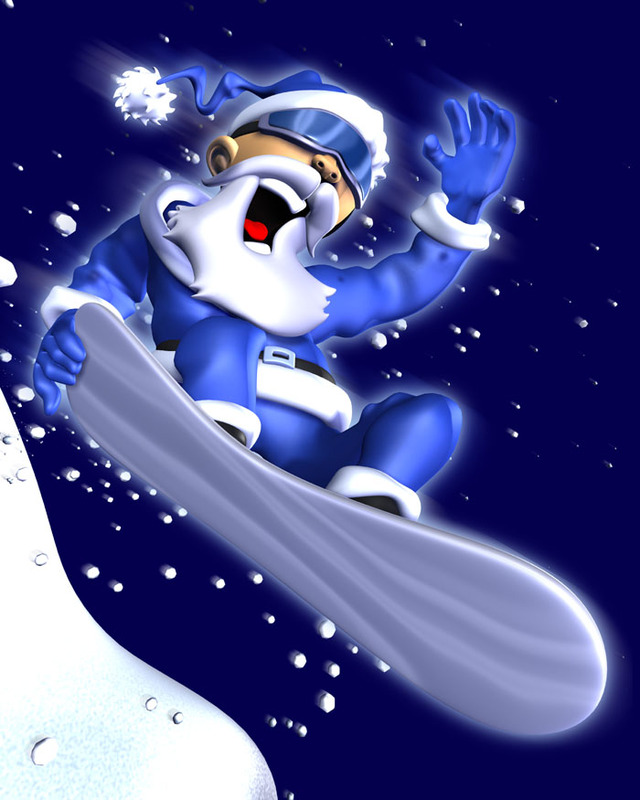 If you are interested I also have an Old Image Gallery with images from the late 80's and early 90's made on my old Amiga 3000. This is my image gallery. Please note basically all these images are about 10+ years old. 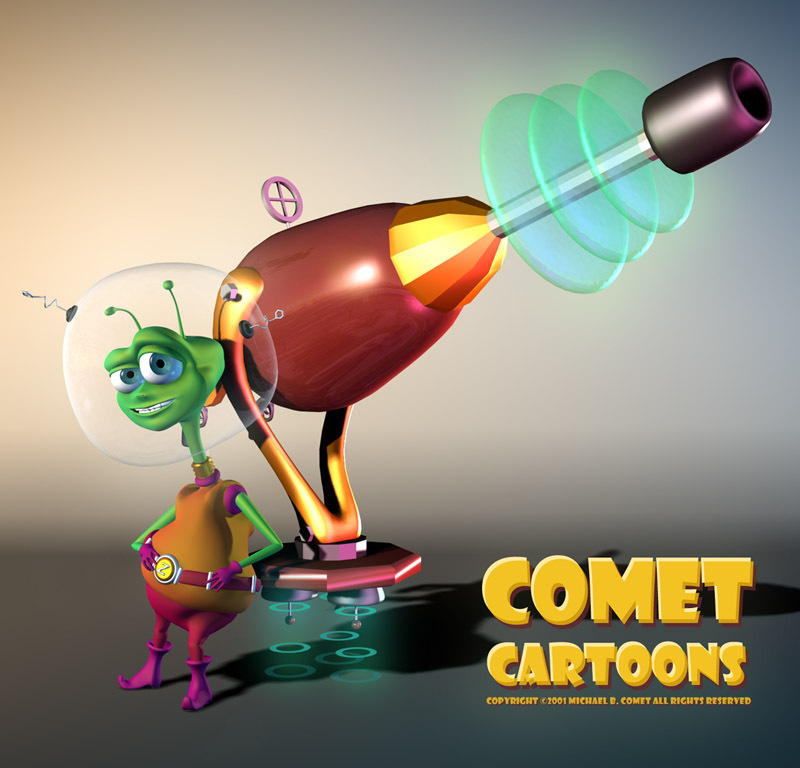 Most of the 3d work was created with 3dsmax. 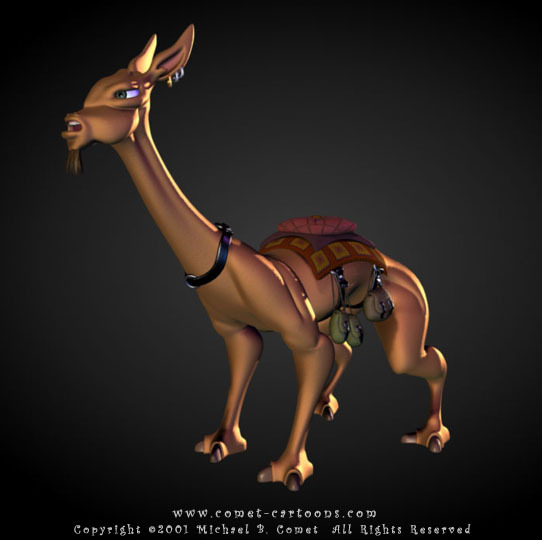 I currently am using Autodesk Maya and ZBrush. 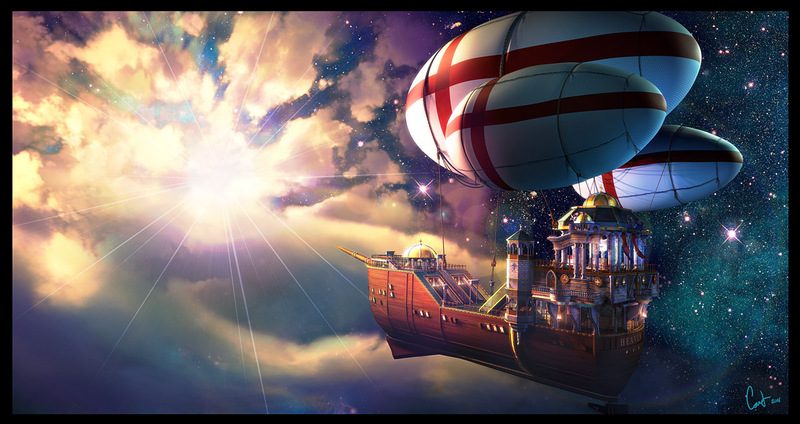 Heaven A personal project I started a long time ago in 3DSMax v5 and finished finally in Maya 2011. Snowboard Freelance job that fell through...this is why you want a signed contract. Designed for a Pepsi campaign around the holidays. 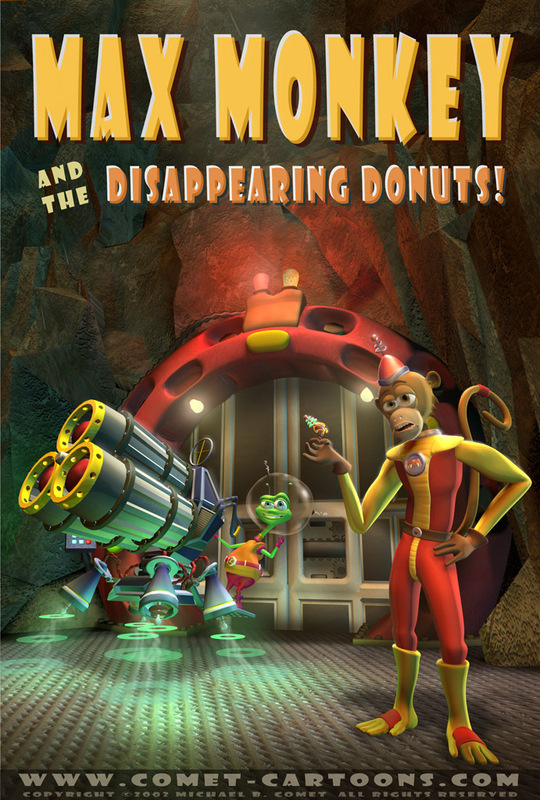 Max Monkey Poster This was a promo poster for an old personal project. 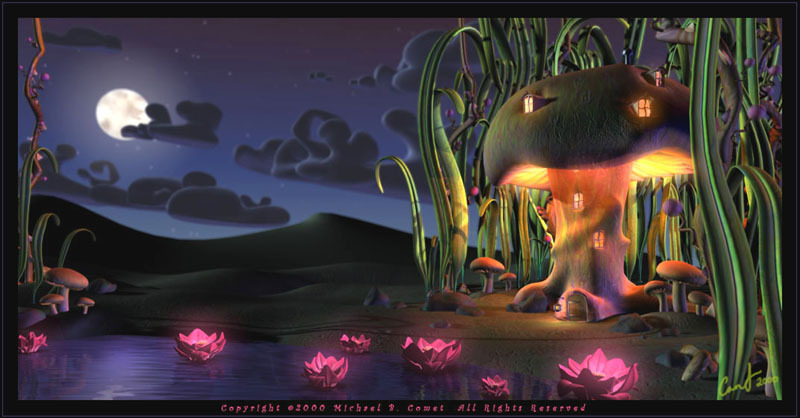 The background and prop models were created by Michael Brumback Jr. The characters, rigging and lighting by me. Created in 3D Studio Max r5.0. Mushroom An old still image from around 2000 created in 3dsmax 3.1/4.0. Anime Pose Created with 3DSMAX 2.5, this image was a finalist in a Kinetix/Discreet image competition. 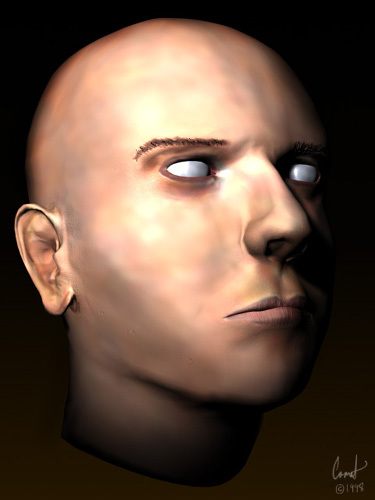 The model was created via low poly/meshsmooth modeling techniques. Painterly Head This was a model I made for the video game Descent:Freespace by Volition, Inc. with Surface Tools (aka Patch Modeling). I then took it and retextured it with a more painterly style for this personal composition. Model Copyright ©1998 Volition Inc. All Rights Reserved. 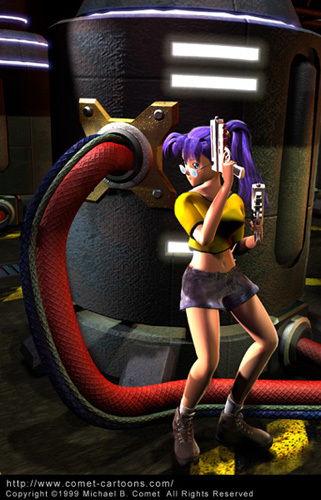 Alien Gun Old test pose for the Max Monkey short I was working on in 3dsmax. 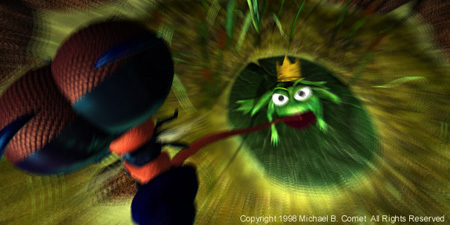 Frog Zoom An old still image from a short I created called -Blue Bottle Fly, Green Bottle Fly- with 3D Studio Max 1.2. Woman Painting Oil on canvas, 18x24. The woman is based on a perfume ad from a magazine and the background from a building in another. I had done some painting with acrylic, but with this my first attempt with oils, I found I liked the slower drying time. 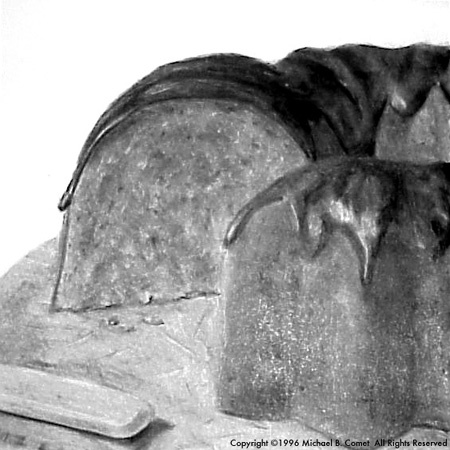 Cake This was actually my first attempt at using Charcoal. Created in the Drawing For Realism class I took at the Cleveland Institute of Art. 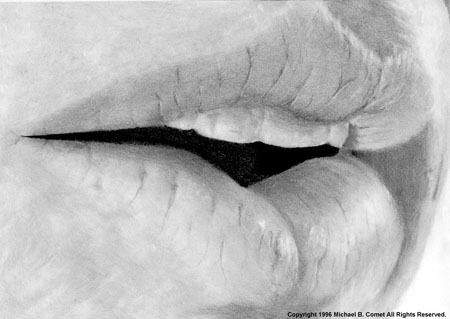 Lips A pencil drawing based on a photo in a magazine of Michael Keaton's lips. This was created for the Drawing For Realism course I took at the Cleveland Institute of Art. 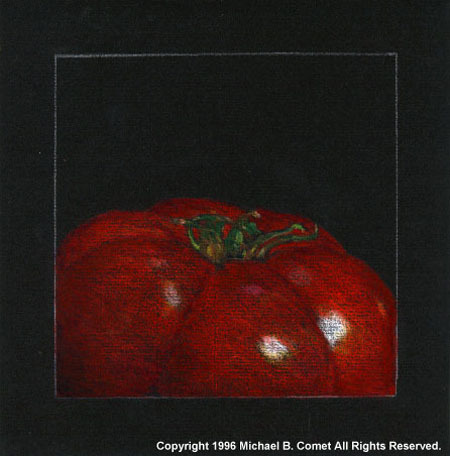 Tomato A colored pencil drawing created at the Drawing For Realism class I took at the Cleveland Institute of Art.